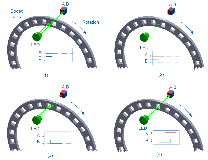 Students will calibrate a potentiometer and incremental encoder for accurately measuring angular displacements, and will examine decoding algorithms for encoders. Designed for NI ELVIS III. Students will decode quadrature encoder data, implement a LabVIEW VI to decode quadrature encoder data, and add direction sense and calibration functionality. Designed for NI ELVIS II/II+. 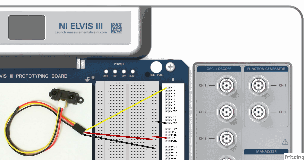 This instructional guidebook provides an introduction to the NI ELVIS II workstation and to LabVIEW’s graphical programming environment. Download includes LabVIEW VI's. Designed for NI ELVIS II/II+. In this lab, students will learn about sensors and the process of measuring different types of physical signals. Designed for NI ELVIS III. 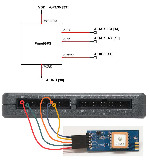 This project introduces the electret microphone to record audio signals and to monitor acoustic level.